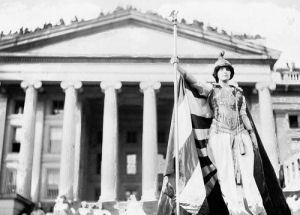 Texas women first tried to get the right to vote at the state’s Constitutional Convention of 1869, but were shot down by the fellas. 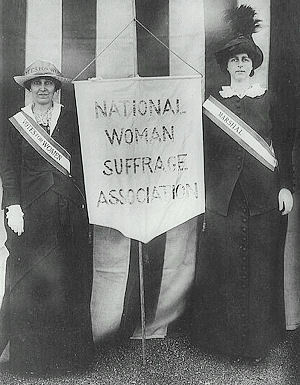 Some disgruntled and disenfranchised women met in the spring of 1893 to form the Texas Equal Rights Association. 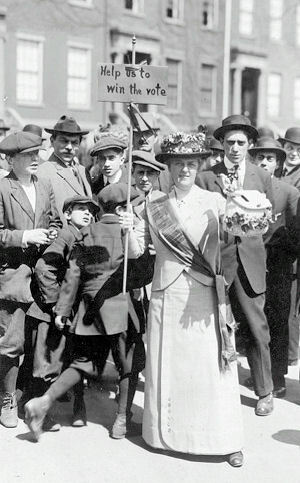 Others, in 1903, formed the Texas Women Suffrage Association, and yet others crafted the Equal Franchise Society to advocate for women’s voting rights. 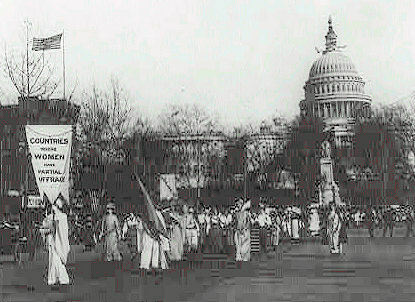 By 1914, the TWSA had more than 2,500 members in 21 local chapters, including one in Waco. 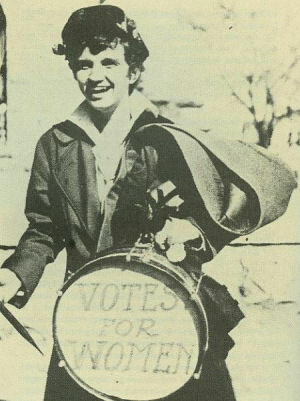 By 1918, almost 100 community-based suffrage societies in Texas were engaging in every kind of political agitation: speeches, forums, pamphleteering, mass meetings and house-to-house canvassing. They wrote newspaper columns and letters to every member of the state legislature and the U.S. Congress, with on-the-spot lobbying in both. 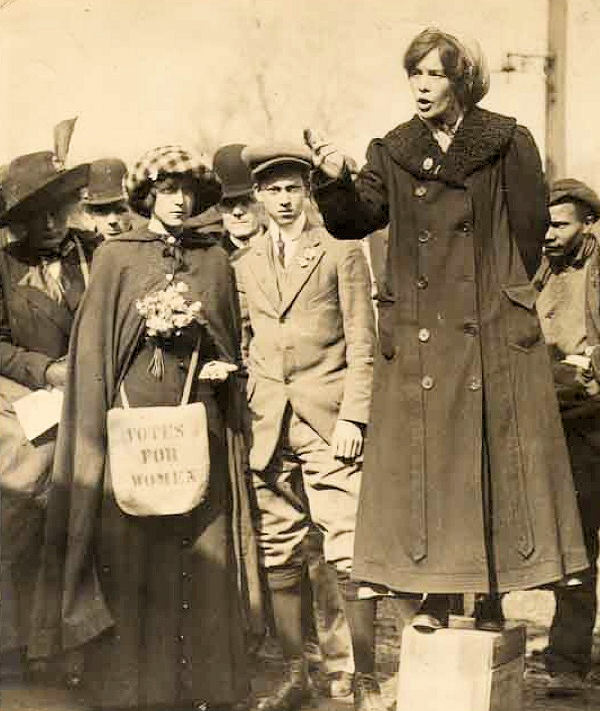 When she was 15, she went to Waco with other suffragettes to march around the courthouse and hand out literature. "There in the window of a general store on the square was a big sign that said, ‘Decent women do not want to vote,’" she said. "I picked up a rock the size of a golf ball from the walk and threw it across the street and smashed that window. Then the other girls did the same thing." A sympathetic judge told the store owner that if he pressed charges, the suffragettes should sue him for libel for implying that they weren’t decent. He didn’t file charges. 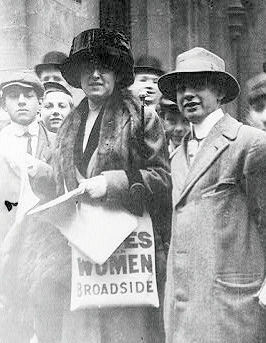 One Texas gent who aided the women’s suffrage movement was Samuel Palmer Brooks, president of Baylor University from 1902-1931. 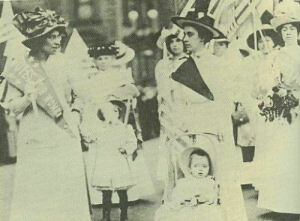 Brooks recognized that women voters would be political allies in numerous reform causes, especially Prohibition. 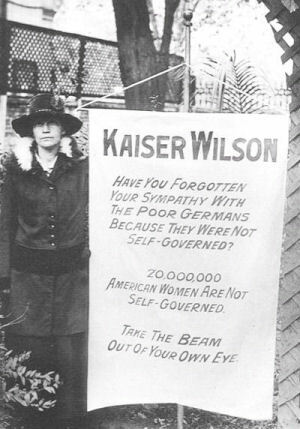 In a 1917 speech to the Waco chapter of the Equal Suffrage Association he expressed the hope that women would help close the saloons. McLennan County voted to go "dry" that same year, without the women’s help after all. Gov. 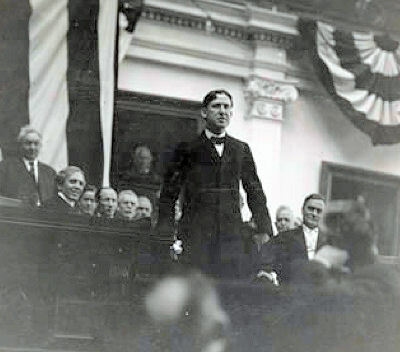 William P. Hobby (1878-1964), was known by Texas suffragettes as "The Man Whom Good Women Want" for his anti-corruption platform and stance allowing women to vote in state primaries in 1918. In the Solid South of the Democratic Party of the era, a primary was as good as the general election. More than 386,000 women registered to vote in only 17 days before the July 1918 primary, and repaid Hobby by sealing his re-election. 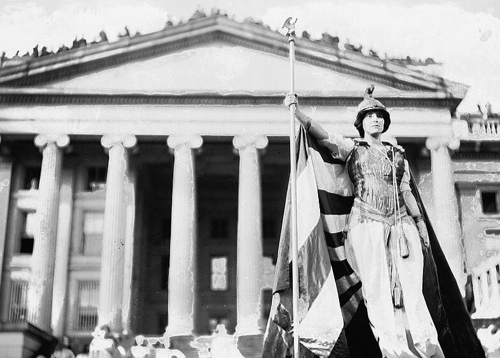 On June 28, 1919, Texas became the ninth state in the Union and the first Southern state to ratify the 19th Amendment to the U.S. Constitution. 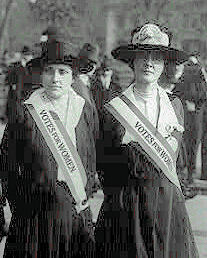 In August 1920, the amendment achieved final ratification, and women throughout the United States could vote at last. Meanwhile, with the state’s ratification, the Texas Equal Suffrage League convened in October 1919 to reorganize as The League of Women Voters of Texas. Sources: A Spirit So Rare: A History of the Women of Waco, by Patricia Ward Wallace (1984); Texas State Library and Archives Commission, Handbook of Texas On-Line, The Library of Congress.